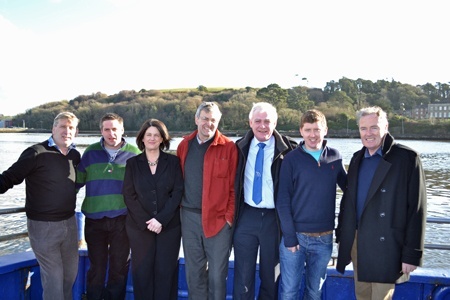 Businesses along the successful Sheep’s Head Way walking route are pulling together to form a new tourism co-operative which will help to promote tourism on the Sheep’s Head peninsula — as well as in Bantry and the surrounding areas — to an international audience. Membership of the co-op can be secured for an initial fee of €100, and an annual renewal fee of €100. People who join the organisation will be actively promoted throughout the year via conventional and social media, and members will also be eligible to take part in events organised by the co-op which will be working hard to improve the quality of tourism services available near the Sheep’s Head Way. The founding of the co-operative represents an acknowledgement that the area needs to work hard to compete for tourist business given that Ireland’s visitors often build their plans around trips to world-famous destinations like Blarney Castle or the Cliffs of Moher. The co-op’s ‘umbrella’ website will be linked to other sites run by national initiatives such as the new Wild Atlantic Way, and this will help small firms in particular to become more visible to potential tourists. UPDATE: LEADER funding is now available for the co-operative’s activities, subject to matched funds being raised by the co-operative. Those funds will be raised from subscriptions to the co-operative, so please do consider joining us. To join the co-op, please contact John Tobin by email on johntobin@tinet.ie. You can also register for the co-op’s newsletter online.